We're now in 2015, the year of the murder. Gypsy has flourished in her relationship with Nick, the bulk of their interactions are sexual in nature. Both frequently dress up as other people, playing new roles and experimenting with the dichotomy of their relationship. It's pretty uncomfortable to watch their interplay. As for Dee Dee, time has not been kind to her. She's in the throes of her diabetes now, putting on weight, constantly exhausted, her hair has receded and gone gray, she struggles just to get out of the bed on her swollen feet. Yet her controlling methods over her daughter haven't changed. Nick and Gypsy want to meet in person but Gypsy still has hope that she could get her mother to approve of their relationship so she doesn't have to keep it hidden. Her plan is to go to a movie with Dee Dee and then have Nick casually run into them while there. Things don't go according to plan and instead Dee Dee finds Nick to be a creep. Though it doesn't stop the young couple from sneaking off into the bathroom to consummate their relationship. The presence of Nick in their lives puts the final nail in the coffin of Dee Dee and Gypsy's relationship. He calls the house and threatens Dee Dee, promising her that he loves Gypsy and that they will be together no matter what she says. Dee Dee's retaliation is to strap her daughter to her bed once more. The entire scene plays out like something from a horror movie. It's that act that pushes Gyspy to her breaking point. She asks Nick (or his evil alter, Victor) to kill Dee Dee. And then they make their plan for it to happen the following night. This episode doesn't actually feature the murder, but it shows the preparation. Gypsy sneaks off at the mall to buy a knife, she lays out everything she needs in her bedroom and prepares for Nick to sneak in and murder her mother once and for all. 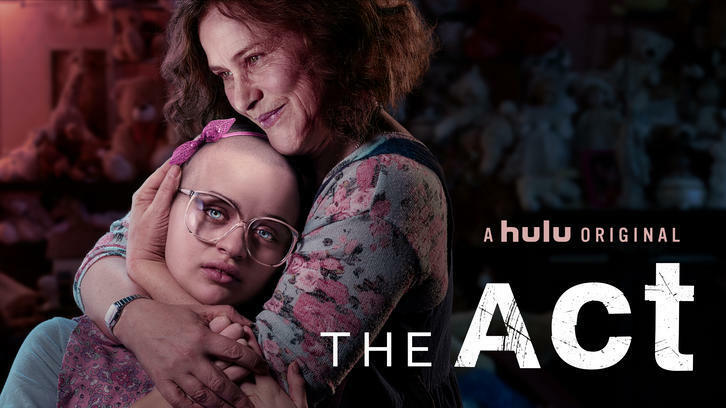 New episodes of The Act stream Wednesdays on Hulu.